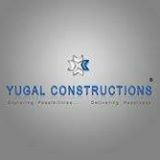 Yugal Construction was incepted by Mr. Mukesh Chandrakant Karwa in 2001 with the aim of developing premium plotting projects both residential and commercial. With humble beginning, Yugal Construction, over a decade of its existence, has come a long way to become a trusted name in the world of real estate development and construction. Yugal Construction also partners with its sister concerns in the area of real estate development and construction to improve its footprint in the new residential, commercial and plotting projects in Pune.